LR Wilson Institute for Canadian History Post-Doctoral Fellowship. McMaster University, 2018. R. Roy McMurtry Fellowship. Awarded by the Osgoode Society for Canadian Legal History 2017-1018. 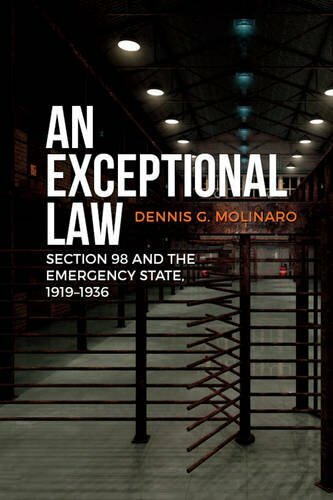 Award to Scholarly Publications Program (ASPP) for An Exceptional Law: Section 98 and the Emergency State, 1919-1936. Peter Oliver Award for “Section 98: The Trial of Rex v. Buck et al and the ‘State of Exception’ in Canada, 1919-1936. Awarded by the Osgoode Society for Canadian Legal History. 2016.